Though pitched as the work of a classically trained pianist toying with analogue synths, “Earth Loop” is a fully fledged soundtrack-like instrumental electronica album that owes a lot to Tangerine Dream and Vangelis, and sounds like what TD could have sounded like in this century if their releases had had a bit more vigour and enthusiasm behind them. Bright analogue bleep patterns dance over bold, bright, super-keen synth and string-synth pads, while sparse dramatic percussive hits give everything a sense of importance and wonder. “Second Run” has a slightly synthwave edge to it, like the opening overture to an 80’s sci-fi movie, but not in a kitsch way which is to its credit. “The Start” and “The End”, a deliberate musical book-ending, add hints of a male vocal sample that add a little extra nuance as well. At points it could be accused of being a one-trick pony- every track feels a little like an attempt to synthesize the feeling of a bright new sunset, with tracks like “The Terminal” and “Tempel 1” not adding quite as much variety as they might. But with a running time of only 37 minutes, attention never gets over-stretched. Overall it’s lovely synth-electronica with a hint of retro that leaves you with a genuinely warm feeling. Madrid-based Bawrut offers up a 4-pack of quirky, bouncy techno, where simple one-note synth basslines and 4/4 drum patterns are the DJ-friendly vanilla base for a variety of playful electronic wibbles that dance over the top. Lead track “Three Sounds”’s bleepy riff borders on novelty but it’s the kind of hook that should keep it coming back for repeat plays. “More Cowbell”, referencing but not sampling the apparently quite litigious Saturday Night Live’s Christopher Walken sketch, predictably adds a cowbell layer to the fairly tribal rhythm pattern, over which a quite synthwavey bassline slowly grows. “I Hear Voices” takes sampled vocal ooohs of different lengths and plays a catchy melody with them over mellow house groove of long lush pads and the occasional spoken-word sample of somebody who sounds like Björk saying “I hear voices”. “Ghettoscar” is something of an odd one out, eschewing the usual DJ-friendly building intro in favour of showcasing a folksy sample of African chanting with its own inbuilt rhythm, which is treated quite reverentially and not cut up very much while the drums and acid bassline slowly get added. A really enjoyable set of four melodic, positive techno tracks with a nice sense of fun. The press shot for this release puts a TB-303 centre-stage in the image, and this is a solid indicator of what you’ll hear. Here are four acid workout instrumentals, with the bass tones centre stage, slowly tweaking and evolving over steady house beats that drop layers in and out with measured composure and DJ-friendly timing. Cold sparse synth notes and some longer meandering pad sounds decorate the top end. Think Hardfloor, but with less emphasis on the ‘hard’. There’s a timelessness to it all, or a datedness to it depending on how you look at it. Sonically there’s very little to distinguish the four tracks- “Suzuki” has slightly harder percussion, “Toyota” is a bit less clubby in tone, but there’s very little in it. The tracks may be named after motorbike manufacturers- or, as I prefer to look at it, three manufacturers of sensible small city cars and one manufacturer of good pianos- but there’s no roaring sounds or racing urgency here- this is all steady foot-tapping fayre. I’m fond of the classic 303 sound so this release can’t really go wrong, and while it has to be scored as well below average for originality, it’s still a set of lovely warm grooves that will put a smile on your face. 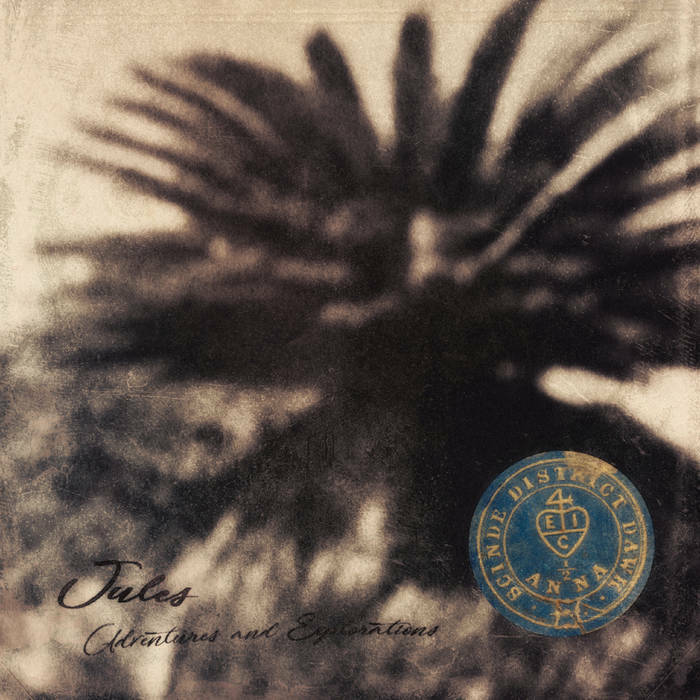 Jules is an anonymous project from India which describes himself as "the spontaneity of the imagination and storytelling"; apart from the consideration that every storytelling has to be mediated by conscious (re)construction, so, it's not properly spontaneous, the musical output is a dreamy ambient based on drones but with a movement obtained with an unusual commitment to writing. As it's not surprising these days, this release is available, apart from digital format, on cassette. So, "Paris 1870. Melancholy during a trip in hot air ballon. ", the first side of this tape, with his ebb and flow of his drone sound as crossover between ambient, loop music and minimalism of rare evocativeness and cure for sonic details which is as static as far from boredom. The other side of this tape, "Stories of long journeys in Indochina. ", is, instead, a slowly evolving track which add layers of sound as time goes by and, when the drone starts, create a pacific sound watercolor which lasts until it slowly fades to silence. This is a remarkable release which would be enjoyed by all fans of classic ambient as it has all characteristics of that genre without being outdated. Waiting for the next volume. The Sand Rays is a project of Canadian Jim DeJong, formerly The Infant Cycle, among other activities. I remember reviewing an Infant Cycle work ('Plays Fender Bass Guitars And Bird Cages Of Unknown Origin, Exclusively') back in 2011 in an overly lengthy essay about avant-garde and esoteric music which I will not emulate here. 'Remembered Vol. 1' is as it states in the subtitle, EPs Gathered Together from DeJong's EP releases on his small label The Ceiling, in tiny editions. After the dissolution of The Infant Cycle, DeJong received an offer to score a feature film for which he produced a number of flexible basic tracks. Unfortunately, the film ended up being scrapped, but since the music was already made, The Sand Rays was born as its vehicle. This CD consists of 8 tracks of varying lengths (the shortest being 0:10; the longest 20:44) which are primarily but not exclusively drones. It also sounds somewhat industrial. You might be inclined to think of it as minimal and static in nature, and to some degree you'd be right, but not totally. "Senor Trainwhistle" which opens this compilation does kind of sound like a sustained train whistle blast that just will not stop, but there is an ever-shifting dimension to it in the variation of harmonics. At different points the perspective changes and higher, lower, or mid frequencies are emphasized. "Pingray 2" is looped, glitchy noise formed into a lopsided rhythm over various harmonic drones. "Escalator Attendant" (great title!) has trembly, shimmery, echoed harmonics into drone that morphs over time into something nearly completely different while still maintaining its original feel. "That Blurry Tunnel There" is a pretty accurate title for the description of this track. A somewhat hazy hollow tone with little variation comprises the bulk of it. Perhaps the most bizarre title on this CD is "Something Sure Smells Fishy About Sandra Y.!" It begins with some deep chambered sustained metal grating and then something that sounds like a sander on the walls. It's real deep shaft stuff. "Pongray" is as much fun as a pair of waterlogged tennis shoes bouncing around in a dysfunctional dryer. The longest track, "A Mysterious Disc 1" features a richly textured metallic drone that changes shape, size, position, with only minor incidents over the course of its duration. Then, all of a sudden it just stops dead, and a newer, more abrasive drone issues forth until it is eclipsed by other glitchy noise loops, some backwards, and eventually that drone ceases while the loops carry on. A lower tone drone emerges carrying it all out to the vast cosmos. Final track "A Mysterious Disc 2" is completely submerged drone sounding likely barely anything at all in ten seconds. The sounds used in these recordings emanate from an assortment of instruments and sound makers including carved (record) runout grooves, bass guitar, bird cages, shortwave radio, and more. Creative? Definitely. Rewarding? Sometimes. Something for the drone/noise aficionado and avant-garde minimalist enthusiast, but not many others. Limited to 300 numbered copies.